﻿In the spring of 1989, after several years of working in retail management, endless nights playing keyboards in smoke-filled downtown rock clubs, dabbling in independent film making, going on auditions for a series of low-budget films that were never made, and opening my own CD/Video store (where more product left the store via shoplifting than sales), I decided (while waiting to collect my monthly unemployment check when the store closed), I needed to make a drastic change in my life. When a neighbor suggested I enter the field of teaching, my initial response was a resounding “No way!” But after some thought, and my realization that I had a handful of education credits from college in my back pocket, and my unemployment checks were rapidly coming to an end, I decided to give it a stab, at least for the short run. 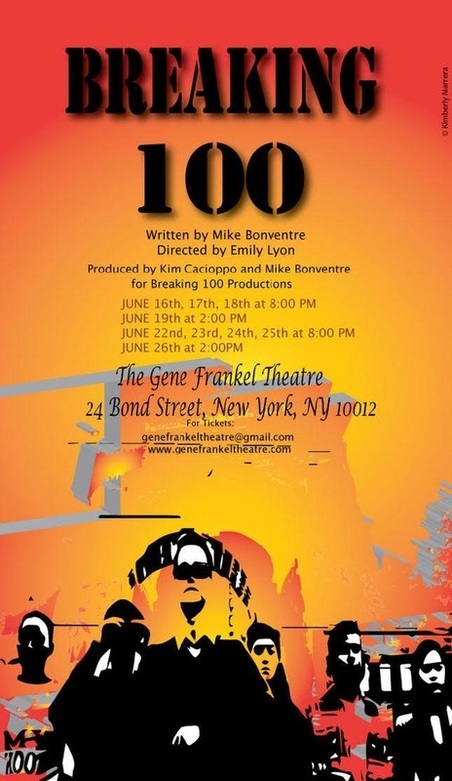 Breaking 100 came out of my early experiences as an English teacher, Guidance Counselor and softball, volleyball and bowling coach at a wonderful, if a times challenging little high school in Queens. Much of the story is true, some of the characters have been changed, but the heart and soul and the pricelessness of being in education remains intact. Breaking 100 will have one 15 minute intermission. No food or beverage will be allowed in the theater.